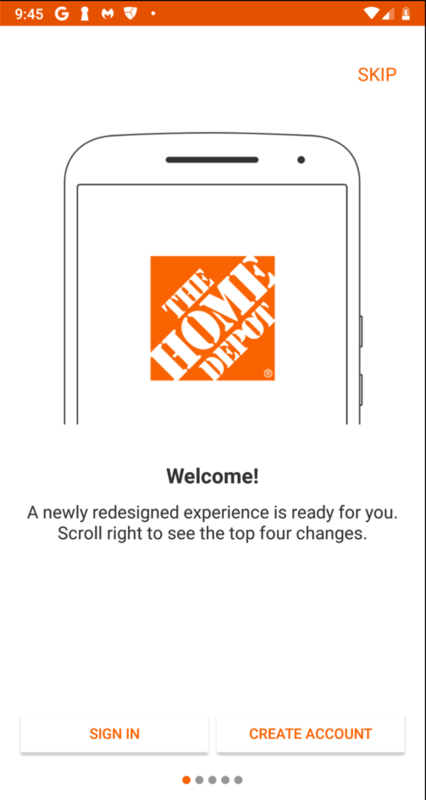 This project may be frustrating, because there are two versions of the Home Depot app that appear randomly on devices. One of them contains four files, as shown below. The other one contains only one file. Also, the number of "x" characters in the filenames changes. So it's nearly impossible to write instructions that work for beginning students. Therefore this project is now treated as extra credit. 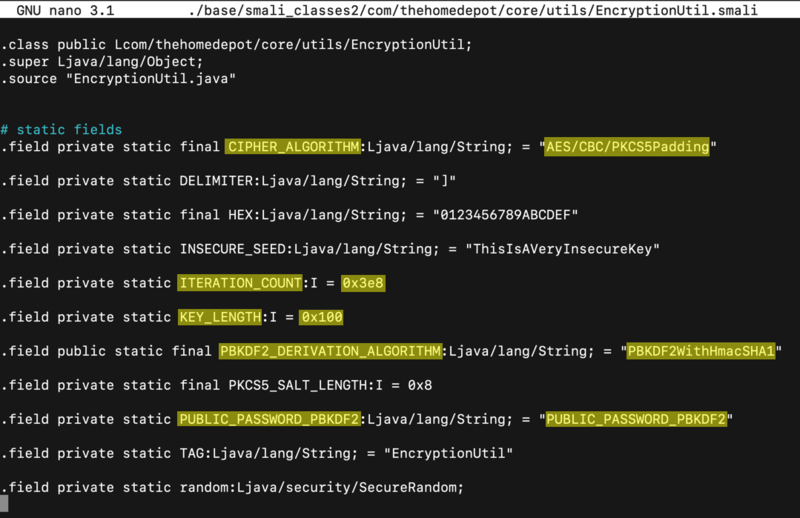 To reverse-engineer the encryption used by Home Depot, which is easy because it is improperly implmented. The key is calculated in a predictable manner. 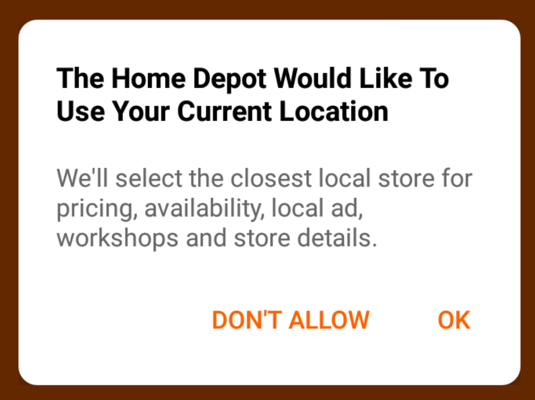 I notified Home Depot about this in 2017 but they did not fix it. 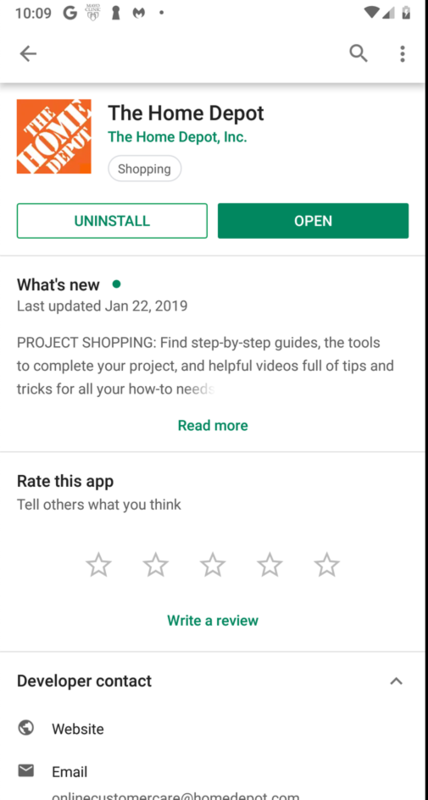 Here's the app I installed, from Google Play. 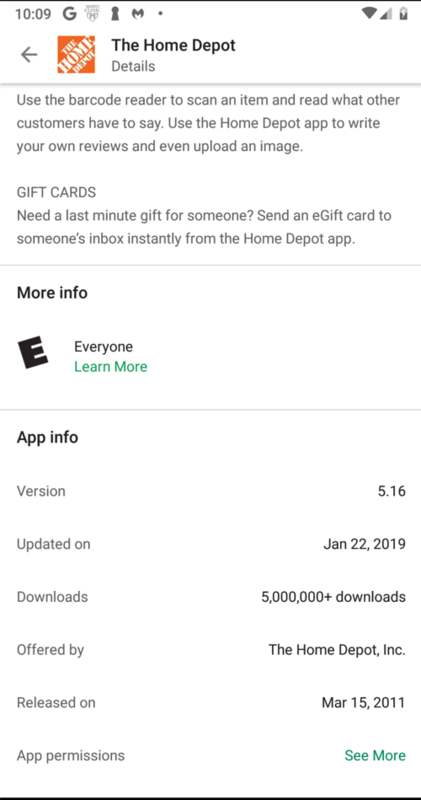 On 3-19-19, the app seems to have updated, so I recommend using the archived copy. A box asks about sending push notifications. Tap OK.
A box asks about accessing your location, as shown below. Tap "DON'T ALLOW". A oage asks for your zip code, as shown below. Enter 94112 and press Enter. On the next page, click a store. 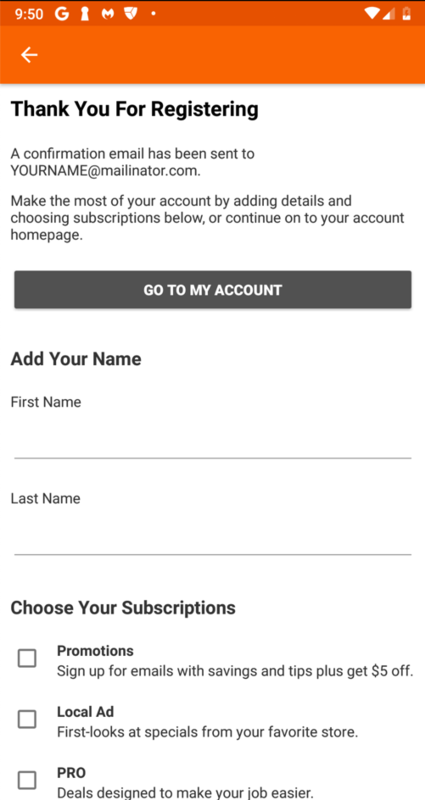 On the next page, click "CREATE ACCOUNT", as shown below. On the next page, create an account with your name in the username and also in the password, as shown below. Click REGISTER. Click "YES, CONTINUE". 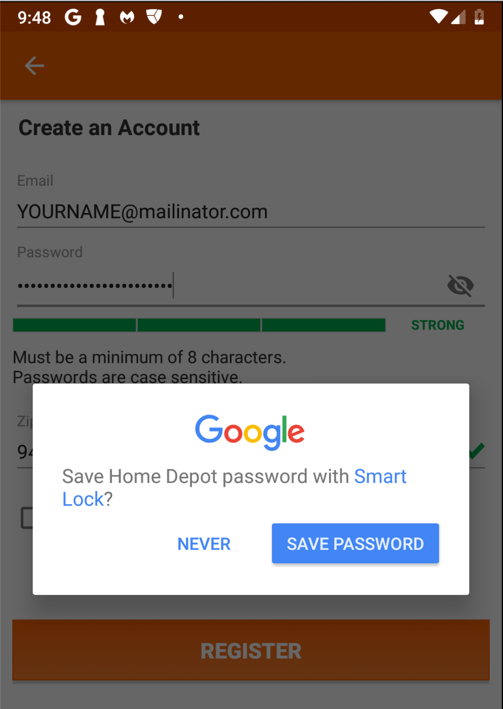 A Google box pops up, asking whether to save your password with "Smart Lock", as shown below. A "Thank You For Registering" page appears, as shown below. The stored password is revealed, as shown below. It's encrypted, but improperly, as we will see below. 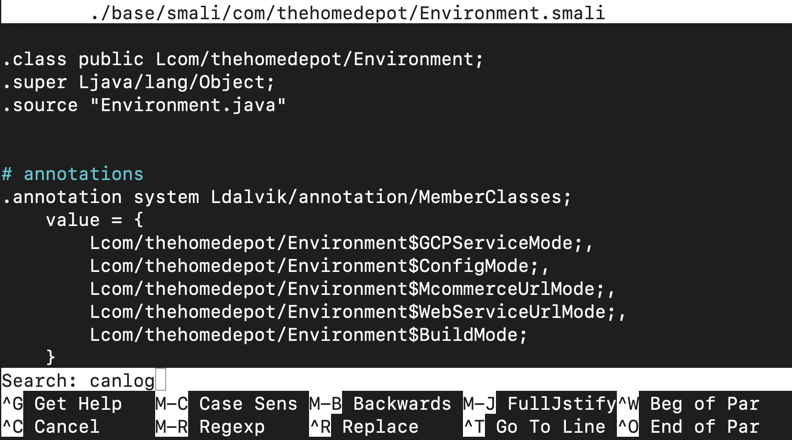 At this point, the likely conclusion is clear: the Home Depot app is insecure, because it stores the password on the phone using custom encryption. As discussed here, passwords should not be stored on the phone at all. Because users re-use passwords, they are very sensitive information and handling them carelessly is a disservice to your customers. Locally stored passwords could be stolen by malware on the phone, or by simply stealing the phone itself. Instead, a random cookie should be stored on the phone, which is useless at any company other than Home Depot. This is the #2 most important security vunerability on mobile devices, according to OWASP. If a developer is forced to store a password locally, there are far better options, such as the Android Keystore. 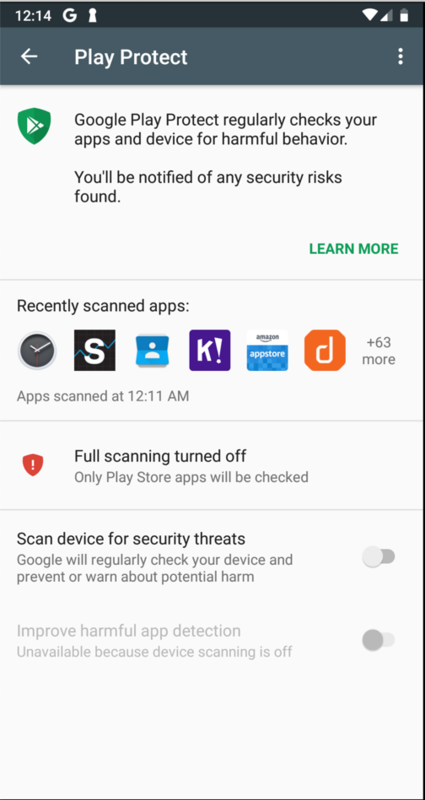 The Android Keystore can be breached on a rooted phone, so the app should test for this, and refuse to run on a rooted phone. The remainder of this page merely proves this simple point by explicitly reverse-engineering the encryption used by Home Depot, and making a simple Python script that decrypts the password. On your Kali machine, execute these commands, adjusting the path if needed to match your system. 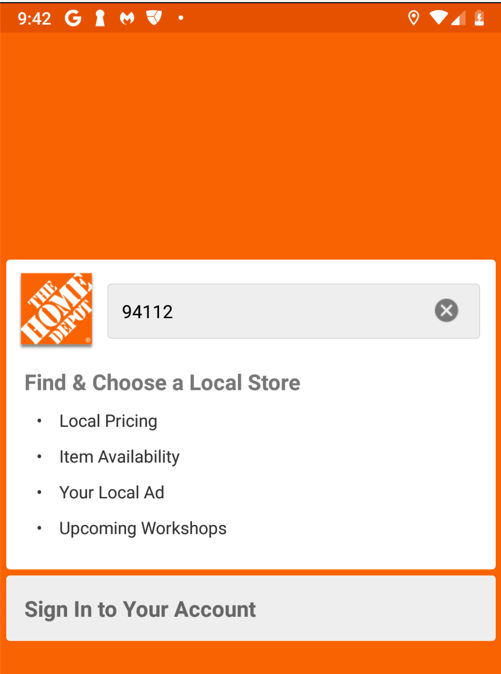 They find and download all the components of the Home Depot app. The module that encrypts the password appears, as highlighed in the image below. Public password for PBKDF2: "PUBLIC_PASSWORD_PBKDF2"
And it has a logging function, which inserts the label "IV: " followed by the initialization vector into the log, as shown below. In nano, press Ctrl_W and type the search string canlog as shown below. Press Enter. The "canLog" function appears, as shown below. Change the constant from "0x0" to "0x1", as shown below. Execute these commands to repackage the APK files. 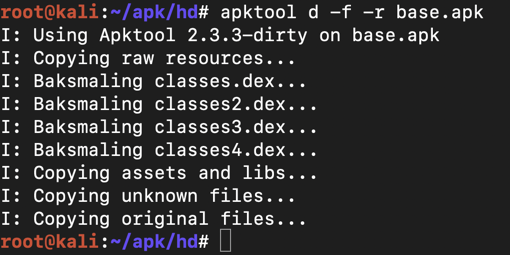 There are more commands because you have to unpack and repack the three additional APK files in this "split" package. 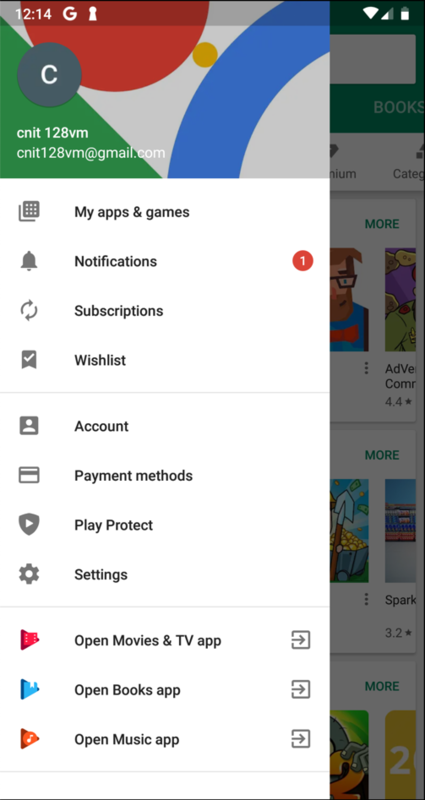 If the install fails with an INSTALL_FAILED_VERIFICATION_FAILURE error, open Google Play in your Android device, click the three-bar icon on the top left. Click "Play Protect", as shown in the image on the left side below. Turn off "Scan device for security threats", as shown below. 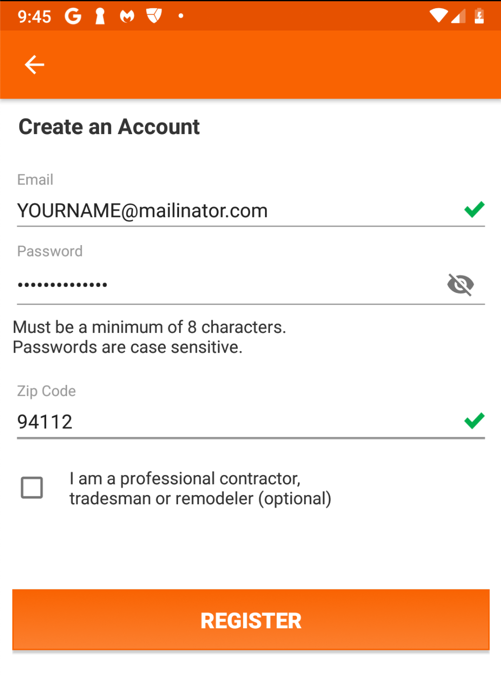 On your Android device, launch the Home Depot app again and log in to your account. The log shows the encryption parameters, as shown below. On Kali, press Ctrl+C to stop the log display. You see the "encrypted_password" value, as shown above. Notice that it has three blobs of Base64-encoded text, highlighted in different colors in the image above. On Kali, execute these commands to encode the IV in Base64. Replace the value below with the value from your log data. The Base64 value as shown below. Notice that this value matches the central blob of Base64 text in the "encrypted_password". As will be proven below, the first blob of Base64 is the "salt", the second blob is the IV (Initialization Vector) and the third blob is the ciphertext--the encrypted password. Copy and paste the encrypted_password value, as shown below. Paste in the encrypted_password value, and press Enter. The password is recovered, containing your name, as shown below, and install it. Make sure you can see the recovered password, containing your name, as shown above. Save the image with the filename "YOUR NAME Proj 13", replacing "YOUR NAME" with your real name.